New Year Resolutions Don't Have To Come Back to Haunt Us! Natalie in Next Year in Jerusalem knows the torture of resolutions. Natalie has promised herself not to let her mind and heart wander away from her husband, David. She finds quickly that promises, like New Year Resolutions can be hard to keep. However, the good news is that if we resolve to make better for ourselves something that can be handled with small steps toward improvement, such as getting rid of clutter or loosing some weight or taking small amounts of personal time for ourselves, we can move forward. You will see now in my short video. Natalie has a bigger task as her emotions are so involved. But that is another story, a story I hope you will read and let me know how you think Natalie should go about resolving her emotions between husband and Jack, her old boyfriend. What Can Natalie Do In Marriage To Make It Less Boring? 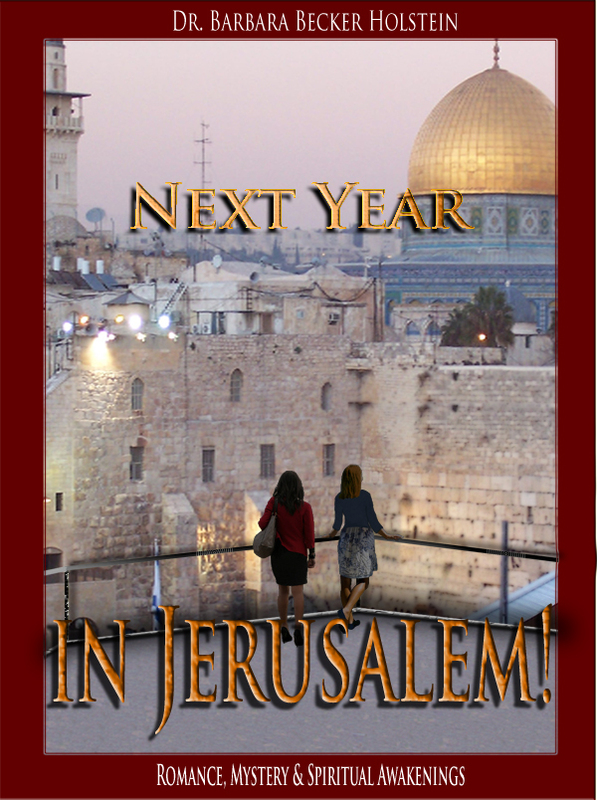 What does Next Year in Jerusalem! mean? How does fantasy effect our every day routine?